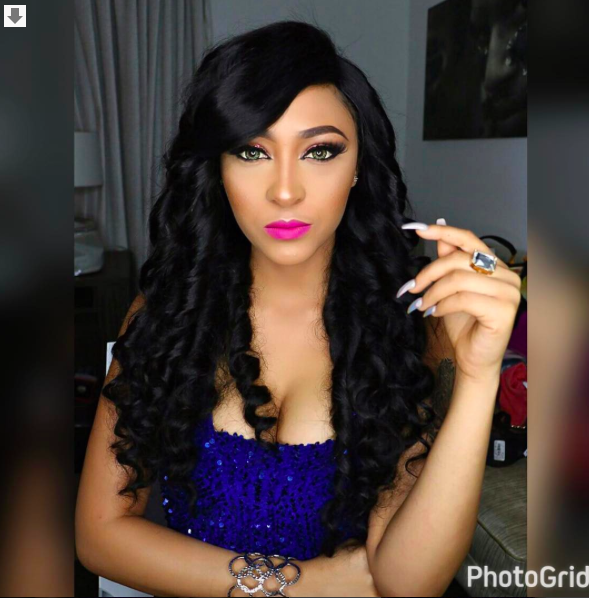 Rosaline Meurer the alleged mistress of Tonto Dikeh's husband Olakunle Churchill took to Instagram to slam Nigerian media for the negative reactions that trailed her post yesterday. "Misleading impressions and not too professional journalism... An attack to life and rapid response of protection from Nigeria Police is considered Maltreatment? Our vision for charity in our circle might definitely be stagnated if we lose lives over frivolous issues! ONLINE MEDIA TAKE NOTE!! 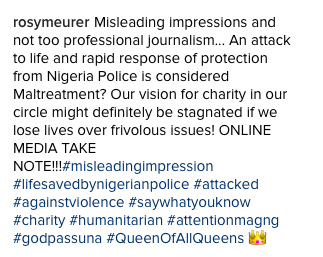 !#misleadingimpression#lifesavedbynigerianpolice #attacked#againstviolence #saywhatyouknow#charity #humanitarian #attentionmagng#godpassuna #QueenOfAllQueens 👑"
Poor girl..she is in for a long one. Nigerians never forget!